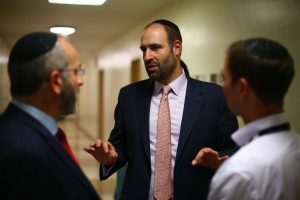 The OU Impact Accelerator is a unique opportunity for professionals to leverage their business experience and success to support growing, innovative Jewish ventures. Mentors will work with social entrepreneurs throughout the annual cohort. Additional opportunities are available to advise entrepreneurs through ad-hoc consulting sessions, teaching courses, and providing resources to the ventures. We hope that by building on our collective knowledge and experiences, mentors can take an active role in building the Jewish future. The Impact Accelerator will work with a select group of Accelerator Partners who will be integral to shaping the Accelerator and creating a thriving Jewish community. Partners will prioritize issue areas, select ventures for the cohort, mentor social entrepreneurs, connect with forward-thinking professionals, and be a part of an innovative new initiative with the potential to change the landscape of the Jewish community. We encourage emerging philanthropists through retired professionals to donate their unique skillsets to create impact for the Jewish people.